What is it? – Sparks and Dust is an otherworldly action-platforming game with a unique control scheme where players explore strange landscapes and do battle with odd creatures. Who made it? – The game was developed by Nathan McKenzie of IceCreamBreakfast. How does it play? – Sporting fast and fluid action that transpires across an array of ethereal settings, Sparks and Dust seems at first like a fairly standard (albeit very pretty) platformer. Pressing the up arrow or spacebar once will cause the protagonist to jump. 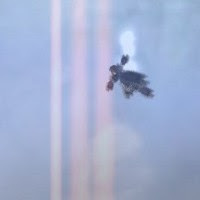 Holding “jump” will allow him to glide (and deflect projectiles), and jumping again will induce a double-jump. Pressing “jump” a third time unleashes a downward plunge-attack. The gameplay is split between platform-puzzling and combat. There are a handful of different enemy-types, but given that you’re limited to a single primary attack, you’ll find that dispatching bad guys is a somewhat repetitive exercise. The platforming elements are quite good though, and using your skills to collect coins and power-ups is a lot of fun. Coins are the chief collectables. Many of them are ready for the taking, but some will require you to smash through platforms to reveal them, or slam parts of the environment from on-high. Hidden treasure locations are indicated by different colored beams that project themselves skyward. Presentation – The game has a cohesively impressive and ethereal look that’s sets it apart from most other games. Liberal use of glow effects and light diffusion do a good job at setting the mood and atmosphere. The in-game music is also suitably dreamlike, though I didn’t much care for it. Positives – Strong production values and an interesting control scheme are the game’s best assets. Few games (if any) have successfully implemented a visual style that embodies dreamlike qualities. Negatives – It could be argued that the complete lack of setup or any real plot or characterization isn’t necessary for a game so visually abstract. I’d have to disagree. Once the magic of the visuals wears off, you’ll be left wondering just what you’re supposed to be doing besides killing weirdoes and collecting coins – and why you’re doing any of it to begin with. Why you should play it – Sparks and Dust is very much worth checking out, even if all you want is to see another great example of superior graphics in Flash gaming. There’s some fun gameplay to be enjoyed as well; however, you may have to find ways to motivate yourself to continue.